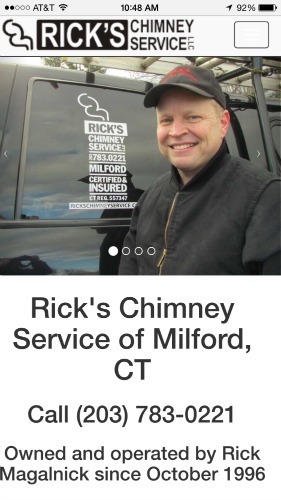 Rick’s Chimney Service has served Southern Connecticut since 1996 and provides a variety of chimney-related services. The company is a member of the National Chimney Sweep Guild. 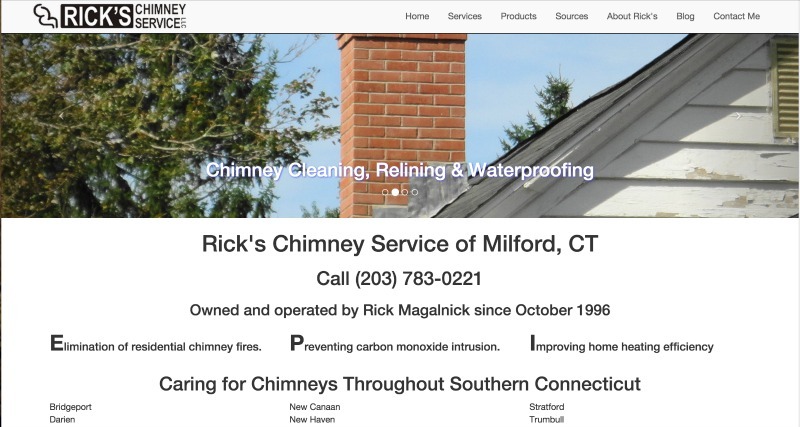 Ricks Chimney Service has worked with 3PRIME on SEO projects in the past and with the shift towards mobile, it was clear that a responsive website would be a critical investment. We made use of the existing website content and a simple Twitter Bootstrap template to reproduce the website in a mobile-friendly incarnation. Rick’s took the opportunity to add new photography to the website. Old pages were redirected properly and Google Analytics was implemented to provide for conversion tracking and reporting on a consistent basis.